Established in 1923, Paper City Savings has served our community for over 90 years. The Association operates as a locally managed financial institution, owned by our depositors. Paper City Savings began with the purpose of providing mortgage loans for single-family homes in the South Wood County area. This continues to be one of our purposes today along with providing other financial services to fit your needs. As a depositor, you know your money will remain here to make your community grow. Paper City Savings has grown over the years and now offers customers three convenient locations. Technology and products have been updated over the years to provide customers with the most efficient banking services available. Paper City Savings and its staff believe in Hometown Spirit and the growth of our community. To show our support, staff members have volunteered to raise funds or donate their time to numerous organizations in our community.  It is our mission to provide the highest quality of service possible with competitively priced mortgage loans and provide a fair rate of return to our depositors. We believe in our community and we believe in you.